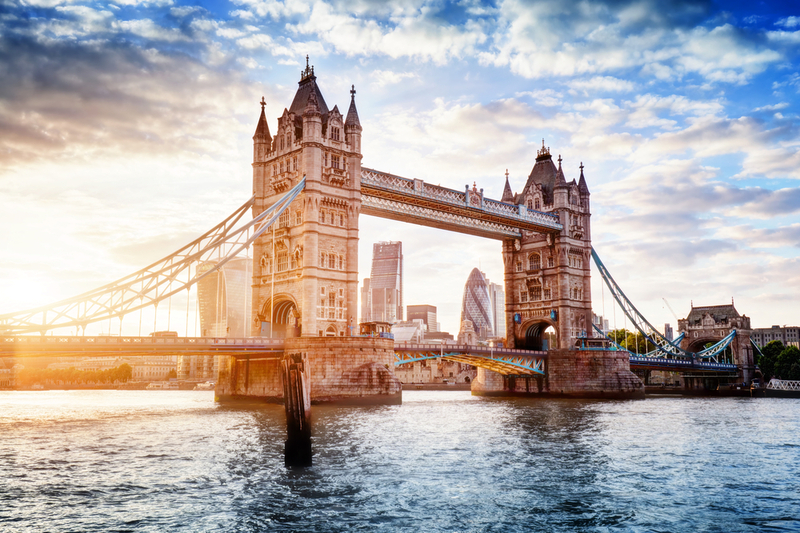 Fly across the pond to London, England and enjoy some British culture. The capital of England, London, is a good mix of quaint and modern, offering a bit of everything. Check out our previous blog post on 15 fantastic reasons to visit London in 2017 for some ideas for your trip! Pay a visit to our neighbors, and enjoy some Canadian culture. Enjoy views from the CN Tower, get caught up in the excitement of a hockey game, or make the journey to Niagara Falls. Toronto is also home to a diverse range of cultures, which makes for some incredible food options. For an incredible Thailand experience, we suggest heading to Bangkok for your next vacation. Bangkok is a very colorful city, with beautiful temples to visit, bars to enjoy (the Sky Bar was featured in the Hangover Part II), and famed for its incredible street food! A true feast for the senses. The most popular destination in the Middle East, Dubai is a truly luxurious place to visit. Home to the world’s tallest building, the Burj Khalifa, as well as the world’s largest shopping mall, and plenty of stunning beaches (some man made, some natural), there’s a real sense of grandeur. The busy city of Beijing is a truly spectacular place to visit. There is plenty to see and do, from the Forbidden City to the ‘Bird’s Nest’ stadium that was built for the 2008 Olympic Games, and lots of green spaces throughout the city to relax in between sight seeing. You can also get a train to the Great Wall, and we think this Wonder of the World is a must see! Whether you visit during the Carnival or not, Rio is a very vibrant place to vacation. Take an unforgettable cable car journey up Sugarloaf Mountain, visit Maracanã stadium and the iconic Christ the Redeemer statue. The natural beauty of the area is breathtaking, with many miles of white beaches and two rainforests nearby. If it’s a romantic trip with your partner you’re after, check out our post on 21 reasons to book a romantic getaway in Paris here. While it is the city of love, it is a great place to visit whether you are loved up or not, with plenty of art and culture to be seen. Head to The Louvre, Notre-Dame, the Arc de Triomphe, and of course, the Eiffel Tower if you make the trip! Australia should be on everybody’s travel bucket list, and Perth is a great place to start. The capital of Western Australia, you can enjoy sandy beaches, and explore the bush and take in great views from Mt Eliza in King’s Park for your nature fix, or enjoy a drink at one of the bars in Perth’s small bar movement to enjoy the great nightlife. You don’t need to leave the country for a great vacation. If you’ve never been to Orlando, there is so much to see and do that you’ll find yourself returning time and time again. From the Walt Disney Resort and the Wizarding World of Harry Potter to Discovery Cove and the Harry P. Leu Gardens, there’s something for everybody. Lord of the Rings fan? Then a trip to Auckland New Zealand is a must! Various day trips will take you to the Hobbiton movie set, where you can have your photo taken in front of a Hobbit Hole! Other great things to do while you’re there include a trip to the glow worm caves, or taking in the views from the Sky Tower, the tallest freestanding structure in the Southern Hemisphere. We hope this has given you some inspiration for your next vacation. Be sure to check out our deals on cheap flights here at Globehunters, or get in touch with one of our travel consultants who will help you sort everything from flights and hotels to car hire.